Escalating density training is intended to provide enough intensity to spur quick results. It can take a considerable amount of time to see the results of a weight-training program, so it pays to adopt the most efficient workout possible. One such program is escalating density training, or EDT, which strength and fitness author Pavel Tsatsouline cites as being "foolproof." While you may have success with EDT, no program works the same for everyone. 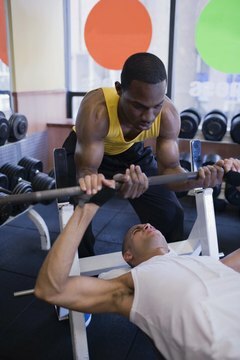 If you are new to strength training, consult an experienced trainer or other professional for guidance. Escalating density training is a simple program to follow as you only perform four exercises per workout. Two of the exercises are for one muscle group, while the other two are for another muscle group. Your workout is split into two 20-minute sessions. Perform alternating sets of the first two exercises during the first 20 minutes, then rest for five minutes and performing alternating sets of the second two exercises for 20 minutes. You should record the total number of repetitions for each exercise performed. The primary goal, as the name suggests, is to increase the amount of work that you perform during each workout. Thus, you'll aim to exceed the number of repetitions of each exercise you performed during your last workout. Because of this, you'll need to work out with the same weight in each consecutive workout and make note of when you increase or decrease it. In addition to being a simple program to follow, EDT provides a clear method for tracking your progress through the counting of repetitions. Additionally, fitness expert and EDT developer Charles Staley suggests that the program also increases excess post-exercise oxygen consumption, or EPOC, more than other workout programs. This is a phenomenon in which your body burns a greater amount of energy after you have stopped exercising due to the strenuous workout. While EDT has its benefits, it might not be your preferred workout system. One concern is that you don't have the opportunity to perform a broad range of exercises during the program -- you perform the same exercises during each session. Additionally, performing such a repetitive workout may put you at a greater risk for overuse injury. 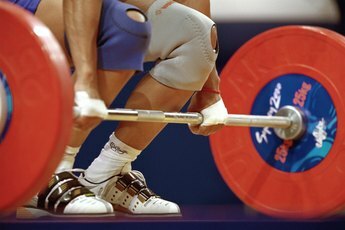 Overuse injuries, such as muscle strains, often occur when you perform the same movements repeatedly for long periods of time, particularly if you are not used to doing so. Thus, variety and a gradual increase in exercise duration and intensity are important for preventing injuries of this nature.